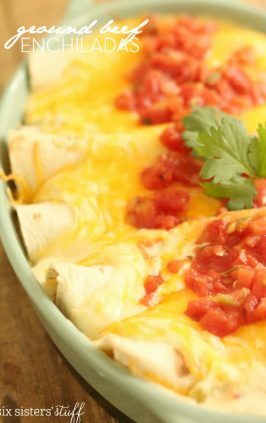 I love Mexican food, but I love it even more when I can put it in my crock pot and don’t have to worry about it until dinnertime! 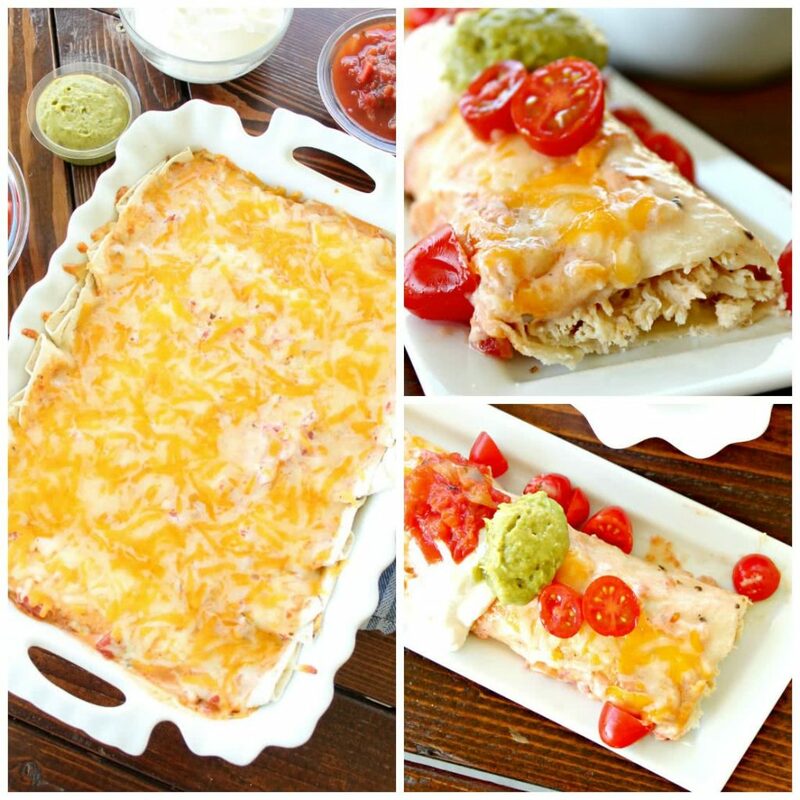 This is one of our go-to meals when I know I won’t have much time to prepare dinner! You favorite toppings. I love guacamole, sour cream, tomatoes, and salsa! Sprinkle taco seasoning and ranch dressing mix over chicken. Pour chicken broth over chicken in slow cooker and cook on low for 3-4 hours. In a small bowl, mix together ranch and salsa; set aside. Spray a 9x13-inch baking pan with nonstick cooking spray and spread a thin layer of salsa/ranch mixture on the bottom of the pan. 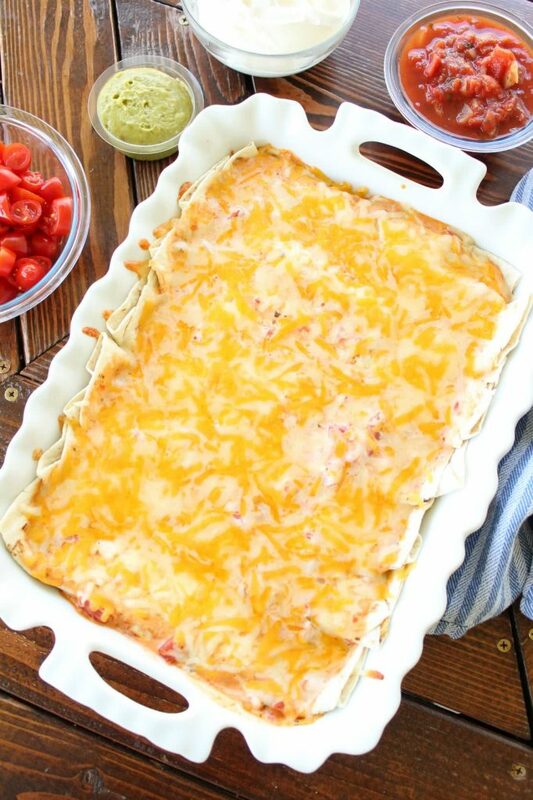 Assemble enchiladas by spreading a few spoonfuls of the salsa/ranch mixture on each tortilla. 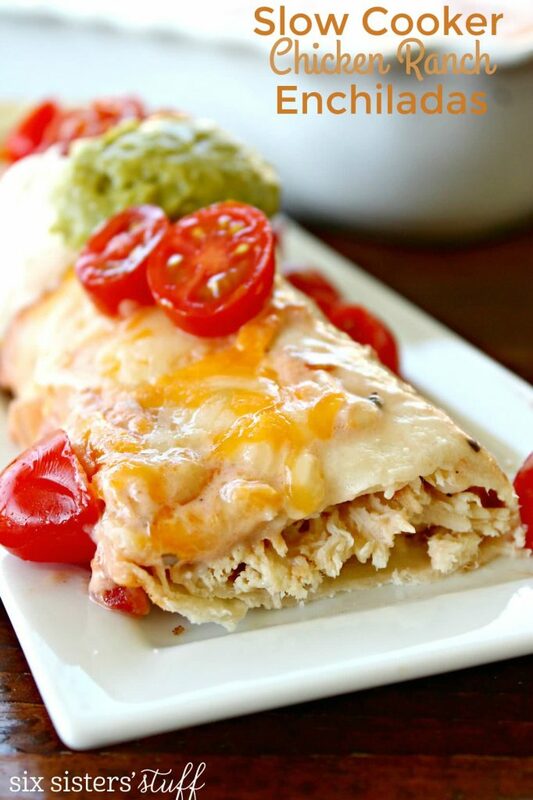 Add shredded chicken and cheese on top and roll up. 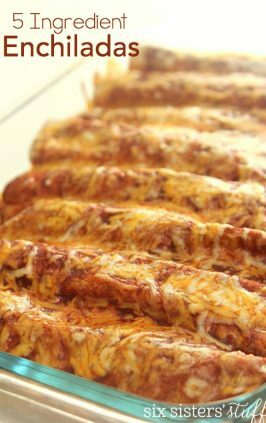 Place enchiladas seam-side down in the prepared pan and sprinkle remaining 1 cup of cheese on top. Thank you very much, that looks like it would be a hit with my family! 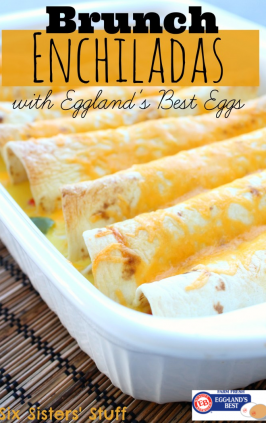 I love enchiladas and this sounds like a a great and simple recipe. Thanks for sharing! What is a good salsa to use. Has anyone added beans to this? We usually buy whatever is on sale. Pace brand or even store brand is great. Beans would be wonderful in this! Any idea how many WWW points plus these are? Can I use frozen chicken tenders? Hi Katie, I think you are talking about raw unbreaded chicken tenders found by the frozen chicken breasts? You may need to reduce the cooking time and watch closely. If you are talking about breaded chicken tenders, they are pre-cooked and wouldn't take long at all. & would it make cook time longer if so? About how many pounds do you think your four chicken breasts were? I find that where I get chicken, the breasts tend to be on the large side (about 12-14 ounces each), so I'm trying to decide if this is more of a 1 lb or 2 lb recipe. I am always a little frustrated when I read comments under recipes where no one has actually tried the recipe. Well, I am here to say that I have tried the recipe and it turned out fantastic! I followed the recipe exactly, no substitutions or alterations. Enjoy! Me too, Melissa! I was thinking exactly the same thing as I read through the comments, and I was considering posting a comment stating just that. So.....you beat me to it and reviewed the recipe as well! Many thanks! I was wondering if you had ever kept the broth from cooking the chicken and used it in a soup/stew/chili? I have mine in the crock now and if just smells so good and I hate to waste anything:) I'm thinking it would be really good in a chicken enchilada style soup. It would be a very flavorful base for your soup. Sounds delicious! We usually just dump the broth, but that would be yummy in a soup or stew! In the last hour of cooking, i shred the chicken in the liquid and let it simmer. The chicken absorbs more flavor! My family LOVED this! I did find a use for the leftover liquid the chicken cooked in that you may want to try because it's such a great addition to the dish. 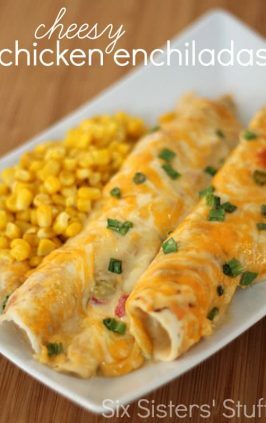 I cooked instant rice with it, so no waste, then added the rice to each enchilada prior to rolling up and cooking. Thank you for such a fantastic recipe!! How much time would you recommend if chicken breasts are frozen? Just be sure to check it after the 3-4 hour cooking time. It may be done after 4 hours where it is only 4 breasts. A lot of it will depend on how thick the chicken breasts are. Have this cooking in the crockpot now! Smells amazing. Thanks for sharing!! I love this recipe. 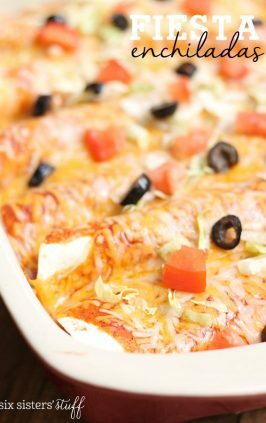 Has anyone had success making it as a make-ahead freezer meal?